Granite Countertop Warehouse and Crowe Custom Counters takes great care in ensuring that our customers have the best buying experience possible. We recognize that having happy customers has been the key to our success. Many of our customers are repeat customers because of the great relationship that we have forged together. Our design pros first task is to open a good line of communications with our customers. They understand that excellent communications is vital to developing the relationship that keeps our customers coming back. Once a customer sees how simple the process is, the quality of the craftsmanship and the ease of communications…that customer realizes the possibilities available. 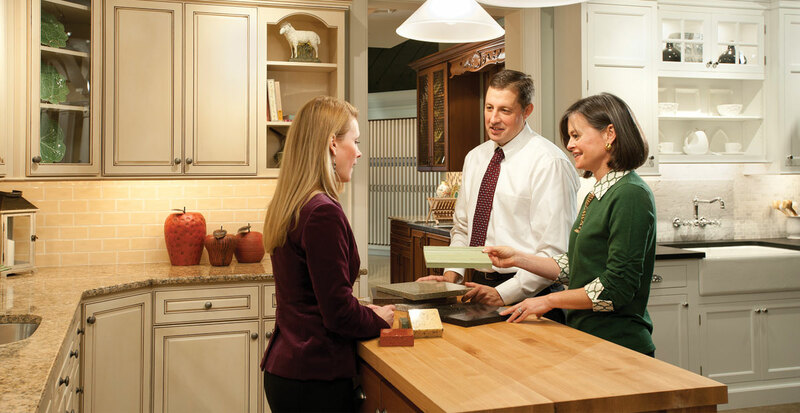 Many customers may start with a kitchen counter or kitchen island top then move to bathrooms, showers, recreation rooms, fireplaces and even outdoor kitchens. Our stone designers know that you are the boss and that we are in business to service your needs. The only way for us to keep our customers coming back is to know what it is our customers want. We truly listen to your customers and relish at the opportunity provide good service. Our designers take the time to identify your needs and vision by asking questions and focusing on your challenges. Our designers are trained to listen effectively and give you their undivided attention. Our office manager, Courtney Butler and her team are dedicated to offering great customer service and additional support to our designers. Our customers count on Courtney and the customer service department to address any issues or concern that may arise.